You can find Judy here and here on Ravelry. All sorts of unexpected places! Nature is always first for me. Leaves and botanicals are a favourite motif. They fit right in with my love of anything green. I particularly like to be inspired by a place and I've done several series with this kind of a theme. 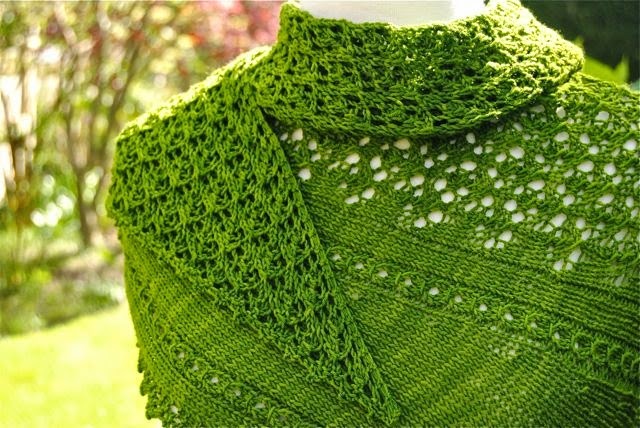 My Calais Shawl started a whole tour of Britain with the Dover Castle, Cornwall Beach and Heart of Wales Shawls. 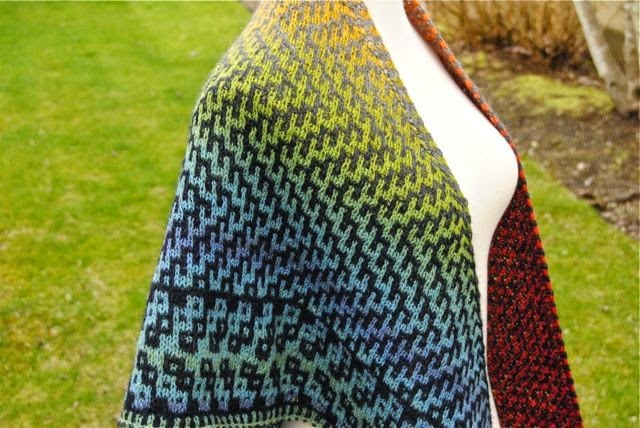 Sonetto Shawl inspired the two designs that followed, Vigneto and Frutteto Shawls and became my Italian series. I don't travel very often, so it's fun for me to research a place and use it as a base for my ideas. Sometimes I make up a storyline to go along with my ideas, such as when I imagined myself knitting on the Heart of Wales Train, while traveling through the Wales countryside. I've actually heard from a knitter who did it! I live on the west coast of Canada and I love being near the ocean. This has inspired a lot of my designs, like my Raven's Nest Shawl. 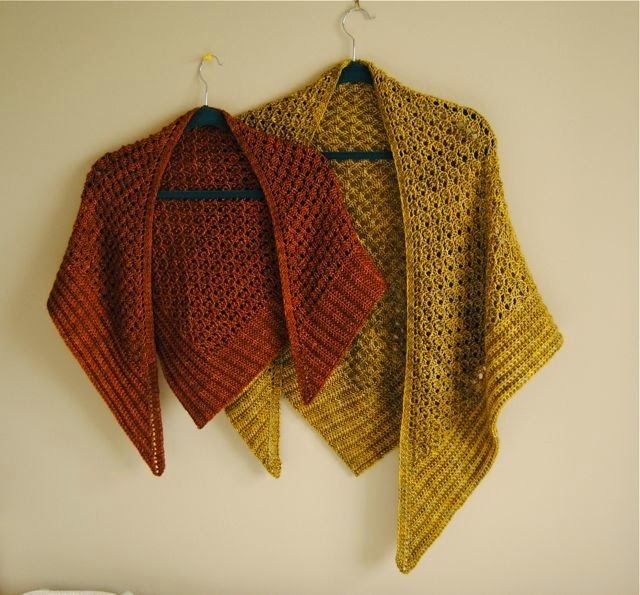 After watching the Outlander series on TV, I was inspired to design Skye Boat Shawl and Cowl. 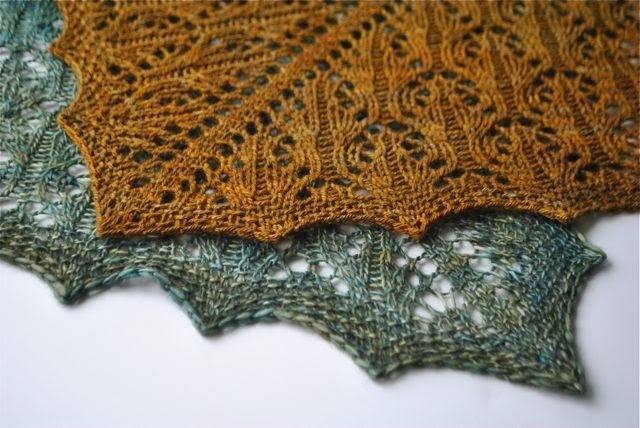 Yorkshire Shawl was inspired by the Downton Abbey series. Some of the outdoor shots on the show include the most beautiful trees on the grounds of Downton. These trees were the inspiration for the shawl. 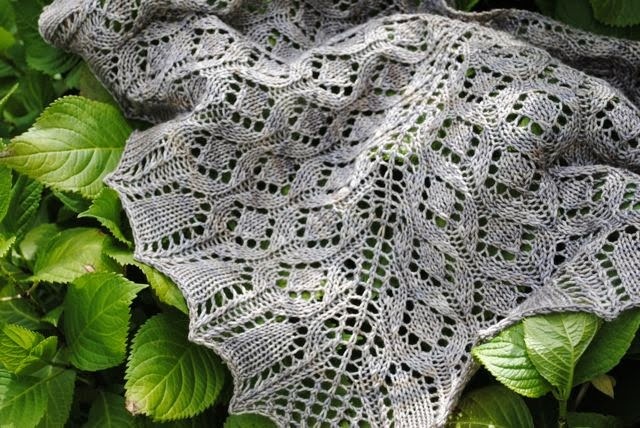 Definitely lace stitches are my favourite to design and to knit. For an individual technique I would have to say slip stitches. You can do so much with them, it's endless. And I find all the patterns fascinating. I love looking at other designers' work! And I am definitely influenced by their work, just as I am influenced by everything else I see. I don't see this as a bad thing. I think everyone is influenced by the world around them. And my world contains a lot of knitting! I haven't heard of this. I don't think I "dumb down" my patterns, although sometimes I will offer 2 methods to choose from, with one geared to beginners. I do believe in putting as much detail as possible into my patterns. I try to anticipate when a question may come up, and I'll include that in the pattern, wherever possible. I knit all my own samples. This is quality control for me. The second sample is always knit after a short break away from the pattern, and after the pattern is completed. Then I sit down, as any knitter does, and try to follow the pattern. It helps me not only catch errors, but look at the pattern with fresh eyes and maybe reword something or add some small detail. I have a group of wonderful test knitters who are amazing at testing out my patterns for me. I am so grateful that they are willing to test my patterns and they give me very valuable feedback. Not really, but I like to set goals at the beginning of each year. I think about the timing for my designs. I look at deadlines, so I don't get overwhelmed. And I decide how I want my business to evolve in the coming year. It's not formal but I have a plan. No, I don't think so. I gear my business model to my personal lifestyle and what works for me and my customers. Yes, I use a tech editor for all my self-published designs. I've been working on that! I found that I was working all the time, days, evenings, weekends, all the time. So I am trying to find a better balance. I try to find a couple of hours each afternoon for myself. I always go for a walk first. The fresh air revives me and then I don't feel so guilty about sitting around knitting later on in the day! Then I do something not related to work. Lately I've been spinning, which I find very relaxing and a nice change from knitting. I love working from home and I love having the freedom of making my own schedule. I try not to take it personally. And as a general rule, knitters are lovely people. If they are criticizing something, they do it in such a thoughtful way that you can't help but listen to what they are saying. I love getting feedback from my customers because it gives me other perspectives that I probably had not thought of. It's very helpful to my pattern writing. Diversify! I can only speak about designing, but it's tough making a living as a designer. It really helps if you can have multiple sources of income. Don't limit yourself and take every opportunity to sell your patterns. Trust your instincts but take some risks. 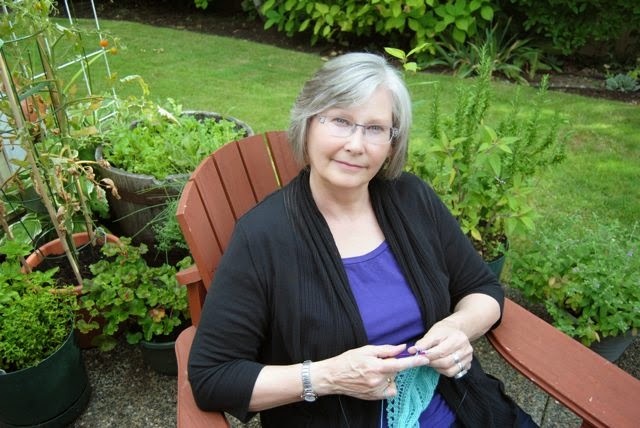 Note: Judy has kindly offered my readers a promo on Ravelry to coincide with the interview. The starting date is April 9th and ends at midnight PST on April 17th, which gives you one week to take advantage of the promo. 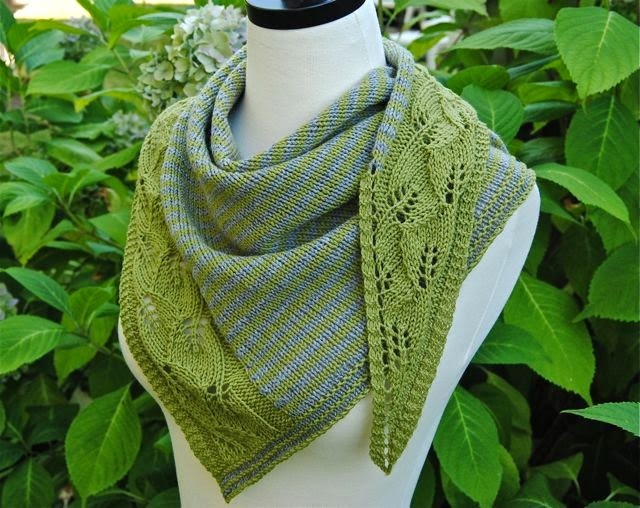 The promotion is 20% off any of Judy's patterns using the promo code “knittingrobin”. From each pattern page click "add to cart”. Once the patterns you wish to purchase are all in your cart, then open your cart and click on “use promo code”. Add your promo code and then check out.